It’s possible to fill your Easter baskets with some fun (and useful!) trinketry, without going overboard. And when we say useful, we mean sorry jump ropes. Is it just us, or do jump ropes always seem to be the foundation of all bad ideas? 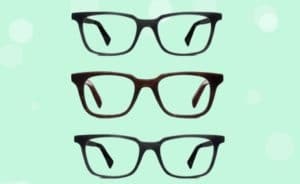 We’ve picked some cool fillers, for every age group. While your toddler or little one may dig the beach toys (see what I did there?) and Play-Doh, ‘tweens will probably appreciate earbuds and slides. Check out our filler ideas below. How cute is this? Comes with 2 seahorse scoops, 2 cones, 1 sprinkles shaker and a bucket with a lid. A six pack of Kit Kats, with a bunny ear on each side. Awww. Get psyched for summer and pool days. Also available as Smarties! With the Hatchimal phase still going strong, this spring basket includes six exclusive Hatchimals CollEGGtibles and 8 little nests. Awww. And because you’re probably not buying a real bunny. Because nothing says spring like a little sidewalk chalk! Comes with six colors and a case. Washes off with water. This 145 piece set includes a grown up and child, and a cute little setup for a lego Easter egg hunt. Yes, the big bag is necessary, because you know you’re eating them too! Long lasting, fast drying and cruelty free, with intense holographic sparkle. This four pack includes four fun, springtime colors. Because you can’t go wrong with a bag of Bunny Farts. These are always a hit. Rainbow sherbet scented, pastel colors and a surprise inside make this a win/win. Available in several other patters, and colors (even burgers and fries!). Cotton candy flavored marshmallows? Sold! This cute tee also comes in a bunch of other cool colors too! It’s available for boys, girls, teens, men and women! Comfortable and makes running from activity to activity – easy breezy. Because April showers bring May flowers – and they can watch the rain as it falls through the clear umbrella. Smartphone, iPod, and iPad compatible, and available in several colors. We’re not sure why he’s on the run, but catch him while you can. Also available as a princess bunny. Available in different patterns, these lightweight towels dry quickly. 12 assorted and deliciously scented markers. Because who doesn’t love mango scented zombie drawings?? 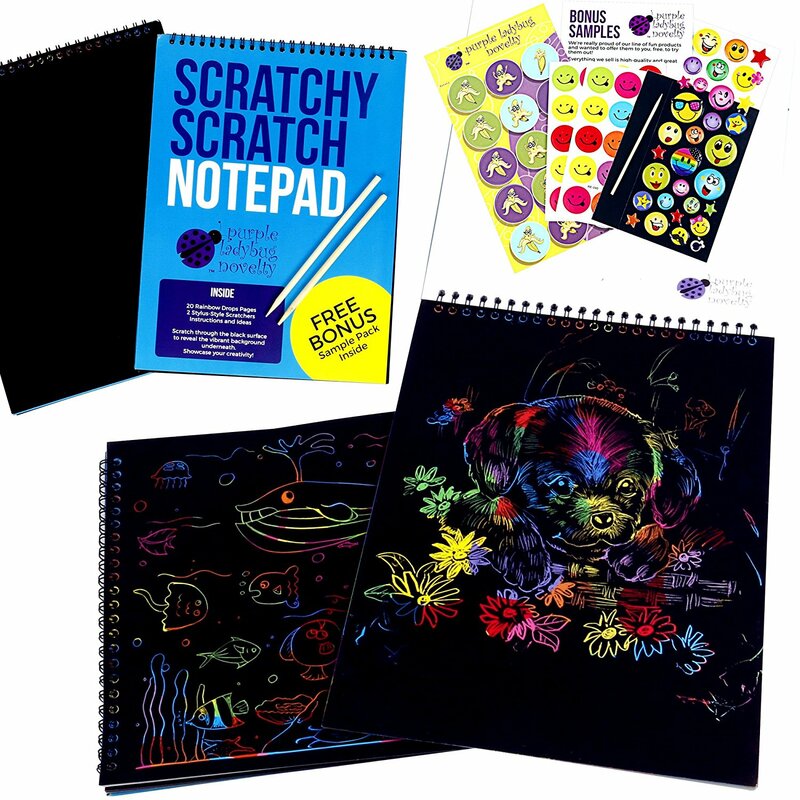 Includes an 8.25 x 11 notebook with 20 sheets of rainbow scratch paper, 2 stylus scratchers, and a bonus pack with scented stickers and more. For the kids who are still slime obsessed! Because these just never get old. And they seem to lose their lip balm on the regular. No app required, just old-school mad libs fun. Because fluffy little chicks aren’t the only things that hatch from eggs! Perfect for the Harry Potter obsessed. Keep ’em handy for travel, or a game of restaurant poker. Softest little doll, in a removable, snuggly bunny sleep sack. Also available in a peanut, pea pod, and snuggle bug sleep sack. Too little for candy? No problem. Little ones love these. Music on the go. Shower, backpack, beach, – you name it. (Other colors available). A sorting and matching game that’s perfect for the Easter basket theme. Available in DVD and Blue Ray, a tale (see what I did there?) about following and achieving your dreams. P.J. Funnybunny is over being a bunny. Follow along as he tries to figure out if it’s better being a bear, a bird, or a pig…or is it better to stay true to himself, and be who he is. Launch these rockets into the sky boomerang style. No batteries required – just old school manpower. Add them to the Easter basket, or your cookies….or both! « 8 Best Stand Mixers For The Ultimate Flour Power!